We are a multi-cultural community composed of many generations. All are welcome and we'll do our best to make you feel at home. We have parking on both sides of the building (Sunset Ave & 10th St). If you will be checking your children into our child care, we recommend parking in the Sunset parking lot. Greeters at both entrances will welcome you and direct you to our Welcome Center where we'll help you get connected to a Sunday School class and guide you through the children's check-in process (please allow for extra time). All guests are welcome to a free cup of coffee at our Cafe. If you have questions or need assistance at any point in the morning, our staff and welcome volunteers will happily help. 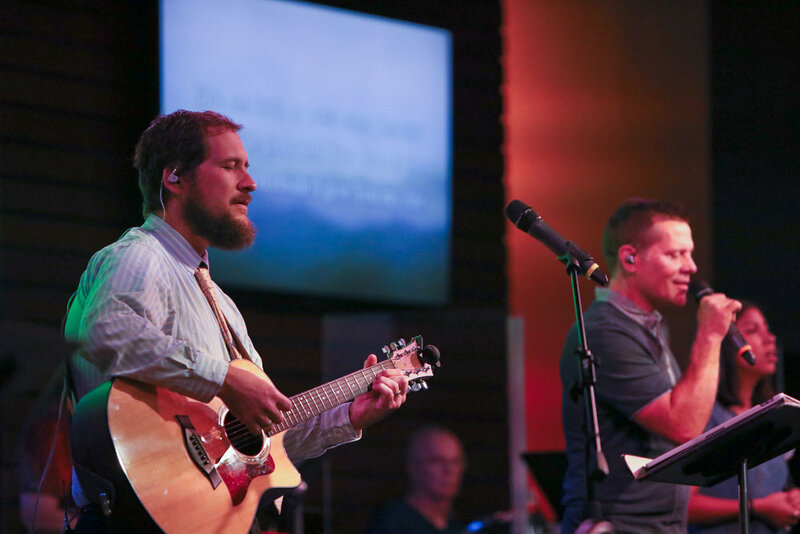 Expect a warm and relaxed atmosphere, coffee in hand, and modern worship music. Many people wear casual clothes but your Sunday best is always welcome. Our Sunday School classes vary from age group to lifestyle and topical classes in both English and Spanish. Groups have a time of fellowship, prayer, and bible study. In addition to adults, we have groups for Children, Youth, and College students. To find a class that fits you best, click below. Join us in the main Sanctuary for a traditional service featuring a choir, organ, and the occasional ensemble. While the atmosphere may be more formal, you are welcome to wear your Sunday best or whatever makes you feel most comfortable. Join our Spanish Congregation in the chapel as we combine both traditional hymns and modern worship styles. The inviting atmosphere will make you feel right at home. Join us for prayer over our church, community, and nation in our main sanctuary.